All lessons must be completed by Friday, April 19, 2019. Journeymen, if you are interested in working the upcoming Bluewater Project, you must be RMD trained. Training will be offered on Tuesdays and Thursdays from 4PM until 8PM at the Area One training center. Call Ashley at (313) 584-8520 to sign up. There is a maximum of four welders per training session. If you cannot make a Tuesday or Thursday class, please call the union hall to speak with Jamie about scheduling training on an alternate date. Classes are all scheduled to start at 8:00AM at the Union Hall - 1755 Fairlane Dr, Allen Park, MI 48101. To register, please call Ashley at (313)584-8520. Apprentices need permission from their agent to test. Boilermakers Local 169 wins Apprentice of the Year for 4th Year in a Row! Congratulations to Josh Slater, the most recent Apprentice of the Year winner. He had some tough competition in New Jersey, but came out on top. Members of Local 169 attended the 50th Annual LEAP Conference in Washington, DC in April. 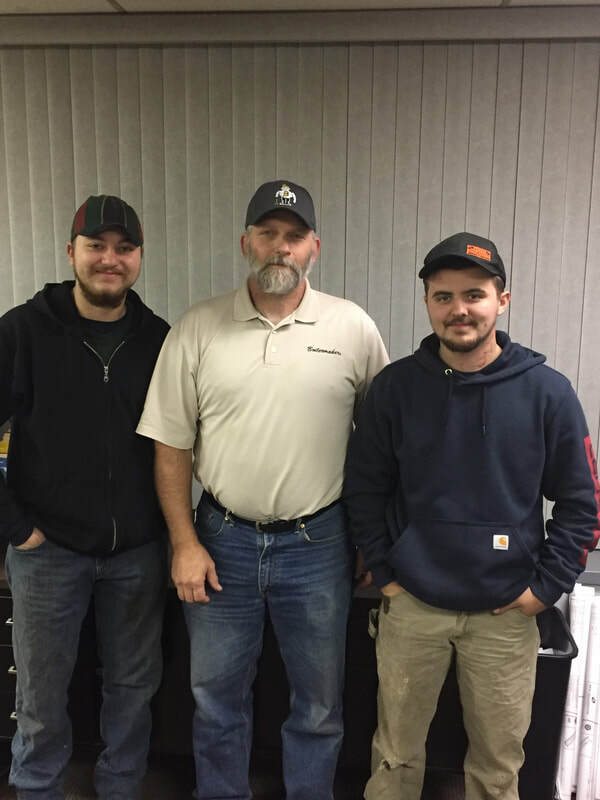 I N C A S E Y O U M I S S E D I T . . .
Congratulations to Boilermakers Local 169's newest Journeyman on their successful completion of the Apprenticeship Program! Congratulations to Branden Dormire on winning the BNAP Apprentice of the Year competition. Winners were announced at a banquet on Thursday, August 24, 2017 in Denver, CO. Branden and his partner from the Great Lakes Area also won the team award. Branden worked and studied hard for weeks leading up to the competition. Thank you. Branden, for your hard work and dedication!